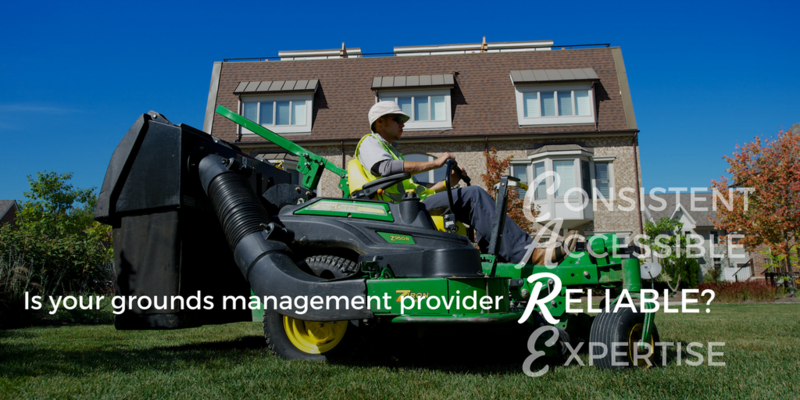 Is Your Grounds Management Provider Reliable? Trust: it's something that can take years to build and just seconds to destroy, and it's the glue that holds people together in both personal relationships and professional ones. So, it makes sense that when you’re looking for a landscaping or snow removal company for your commercial property, you want them to be reliable. We think reliability is important too, which is why it’s the third component of our C.A.R.E. customer service philosophy. 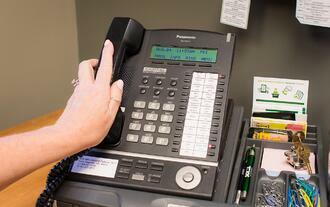 Long story short, we take our customer’s trust very seriously and know we can’t operate a business without it. If you're looking for a grounds maintenance provider, this article has some questions you should keep in mind while searching that will help you figure out if a landscaping or snow removal company is reliable. And if you're a long time customer of ours, this post will show you how the Schill team works to win your trust every day. Great companies are started every day, but it’s important not to gamble with your property. This is especially true when it comes to snow removal, where one mistake could mean a million-dollar lawsuit. Schill is celebrating its 25 Year Anniversary in 2018, which means a quarter-century of experience making properties around Cleveland and Northeast Ohio shine. Over that time, property managers have trusted us to maintain and keep thousands of commercial properties safe. Here at Schill Ground Management, we make a lot of bold claims about the services we provide, so it’s important to have access to an impartial third party who can hold us accountable in case we don’t meet our own high standards. This was our reasoning behind become the second ISO Certified snow removal company in Ohio. In order to keep that certification, our organization is audited every year in order to make sure that all issues were handled correctly and that our crews performed safely and efficiently throughout the year. Of course, safety and efficiency are things that every snow removal company worth its salt measures, but being evaluated in these areas by an impartial third party has proved invaluable. Are they trying to do too many things at once? Grounds maintenance is a very broad field, and it’s can be easy for some businesses to fall into the trap of trying to serve too many industries or provide too many services. Every property with green space is going to need some type of maintenance, but the best companies know that they can’t help everyone. Many years ago, we made the conscious decision that we would provide landscape maintenance and snow removal services exclusively for commercial properties because that’s what we could excel at. We didn’t just want to be a great grounds management company in Cleveland—we wanted to be the best one. Since then, every decision we’ve made about how to develop as a business has always had how it will affect our apartment, HOA, office park, and retail properties in mind. Are they fanatics about response time? ISO Certification also requires that organizations have a system in place to intake customer’s service requests, comments, and complaints and respond to them in a timely manner. Here at Schill, we implemented a Customer Experience Form that allows our clients to communicate with us 24/7 about issues related to either snow removal or landscaping. Here at Schill, we’ve also made a commitment to either resolve or have a plan in place for every issue we receive by the end of the day. We call this The Sundown Rule. Do they follow up on everything? Being accessible means nothing if problems aren’t fixed to the customer’s satisfaction. In addition to the Sundown Rule, we have a full-time customer experience expert who calls our customer’s back after our crews are done in order to make sure that they’re happy with the way that the situation was handled. When the company first started a quarter-century ago, it consisted of two brothers, some landscaping equipment, and a dream. Thousands of landscapes later, we’re so grateful for the relationships that we’ve been able to form with property managers and owners around Cleveland and Northeast Ohio. We know that we’d be nowhere without their trust and continued support. If you’d like to work with a company that’s trusted by hundreds of people, don’t hesitate to contact us today.